We have a couple friends that we talked into Whole30 so we’d have some outside support (aside from the great Facebook groups). The last couple weeks we’ve got together at one another homes and shared a meal. 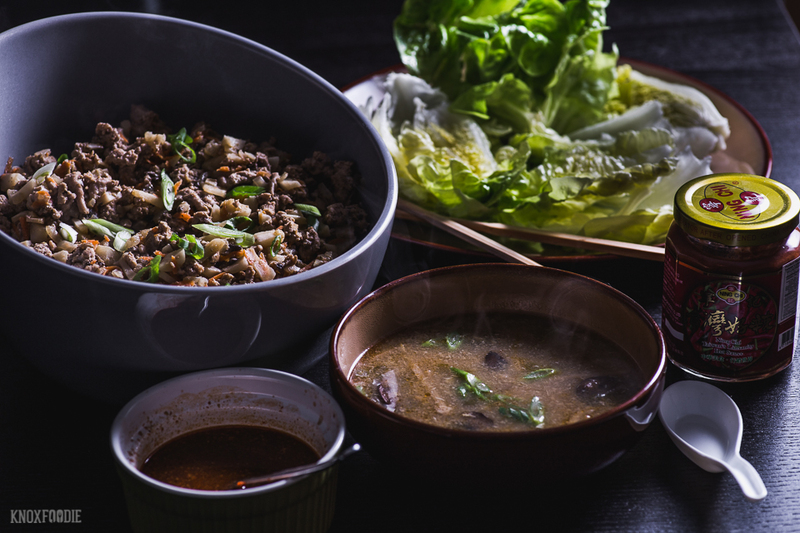 We opted for Asian-style again with Pork & Turkey Lettuce Wraps and Hot and Sour Soup. One of our favorite things at “that chain” (on the rare occasion we visit) is their lettuce wraps. We could eat all of them that are in their restaurant! So we wanted to get as close as we could to those. 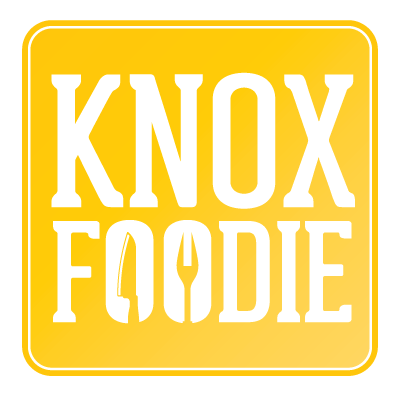 For the soup, Mr KnoxFoodie started it early in the day so it had time to develop. After all, soup is always better when it sets for a while. In the last hour or so we completed the steps starting with adding the egg. By then it had reduced and concentrated the flavors. It needed a little more seasoning and, it’s not in the recipe, but we also added some vinegar powder to it because we like Hot and Sour Soup to be both HOT and SOUR, right? No Sriracha while you’re on Whole30. It has sugar in it. 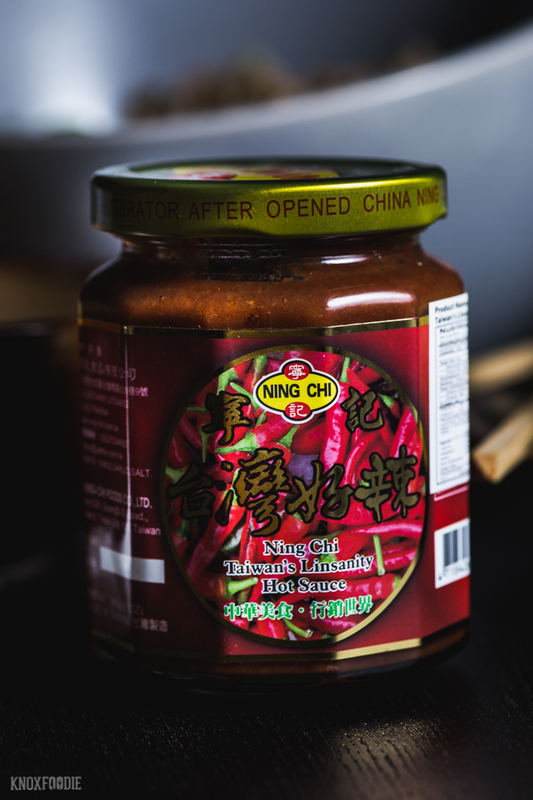 While we do use Sriracha still, about a year ago we moved on the this Ning Chi sauce. It’s more garlicy and complex than Sriracha and it’s what we generally defer to. To our surprise, it’s Whole30 compliant! It only has peppers, garlic, and salt. Perfect! We buy the paste at Sunrise Asian Market, but this would be close for those who can’t find it locally. These spicy and rich lettuce wraps are close to the 'big chain' restaurant that everyone loves. But we've shaken it up with clean ingredients. It's perfect for get togethers with friends or to take to a party because it reheats very well. We adapted our version from 40Aprons recipe. In a large wok or skillet, heat 1 tablespoon neutral oil on medium high. Add diced onion and cook until onion becomes slightly transparent and soft. Add mushrooms and toss well. Add ground meat and mix well. Allow meat to brown and stir again. Continue until cooked through. 5-7 minutes. Add garlic, water chestnuts, and carrots and cook for 3-4 minutes. Reduce heat to medium. Meanwhile, work on sauce (we made extra for spooning on wraps at the table). Combine all sauce ingredients in bowl and whisk until well-mixed. 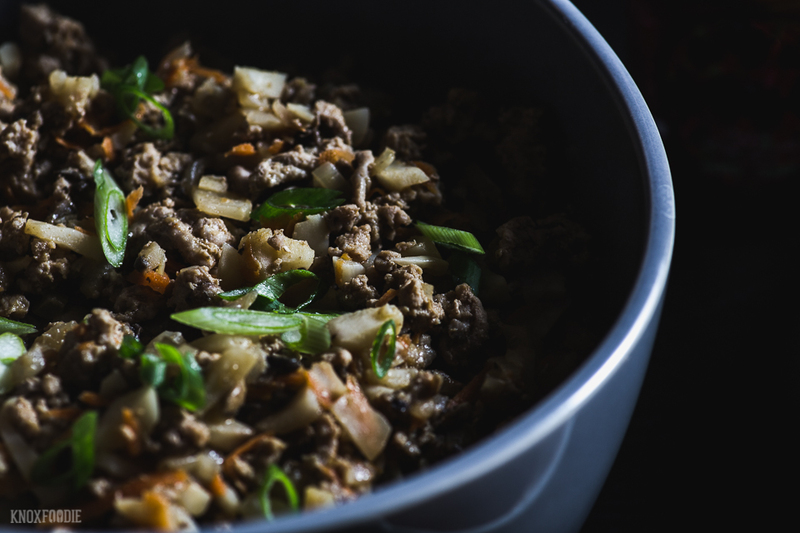 Return your attention to the wok and put meats and vegetables in a large bowl. Pour sauce over mixture and stir to incorporate well. Serve allowing diners to pull a large leaf of bibb lettuce and spooning meat into center. When we get fresh ginger, we peel fingers of the root and place them in a ziplock back and into the freezer. This makes grating it very easy when we need to use fresh ginger. Something we get almost every time we go to our favorite Chinese restaurants is Hot and Sour Soup. Sometimes it rocks and sometimes, meh. This recipe won't disappoint. We had some vinegar powder on hand and sprinkled a little on it mid-way through cooking because we like it extra sour. Also, the soup is even better if you mark it up to the point of adding the eggs and let it cook on low heat for 1-4 hours. The flavors concentrate and it comes together nicely. Set aside ¼ cup stock. Add remaining stock to large kettle along with mushrooms, bamboo shoots, rice wine vinegar, coconut aminos, ginger, hot sauce. Stir to combine and set heat to medium-high until soup reaches a simmer. Meanwhile, whisk starch and the ¼ cup of reserved stock together until no lumps remain. Once soup has reached a simmer, stir and slowly incorporate starch mixture to thicken soup. Season with salt and pepper to taste. At this point, you may continue or, reduce heat to very low and allow to cook 1-4 hours and reduce. When ready, increase heat and bring to simmer again. Stir soup in circular motion and s-l-o-w-l-y drizzle egg into simmering soup in a thin ribbon. Stir in half green onions and sesame oil. Taste and add more salt, vinegar, and hot sauce as desired. Serve with a garnish of remaining green onions.